Mood rings, those large domed accessories that change color to somewhat accurately gauge your emotional state, are moving into the technological age. The Moodmetric ring measures your emotional state throughout the day and can provide you with information in real time via a free app, or store it so you can look for emotional trends over days or weeks. 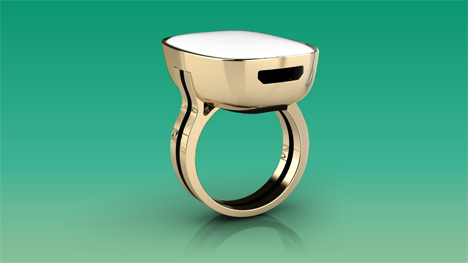 The ring works by measuring skin conductance, one of the metrics used in lie detector tests. Skin conductance reveals how well your skin conducts electricity, which is measured by the amount of sweat-induced moisture on the skin. The idea is that this measurement is closely linked to the wearer’s state of mind. Moodmetric’s software identifies four different types of emotional reactions to stress; each type affects your life in a different way. The Bear causes others stress by being confrontational or combative. The Dog tries to please everyone and experiences stress when she encounters real or imagined disapproval. The Hedgehog freezes under pressure and defers to others when stressed. The Rabbit feels stressed or anxious pretty much all of the time and avoids conflict whenever possible. By tracking and identifying your typical reaction to stress, the Moodmetric ring can help you make adjustments to your daily emotional state. 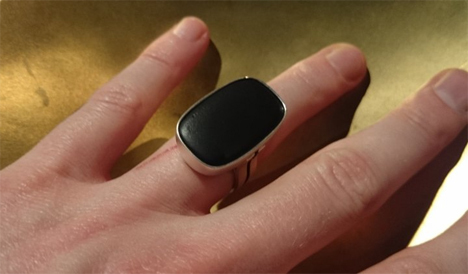 The smart ring’s measurement data was tested by an outside source to ensure its accuracy. Of course, no wearable gadget can be a hundred percent accurate in judging your state of mind, but monitoring your stress levels over time can help you learn to lead a calmer, more relaxed life. 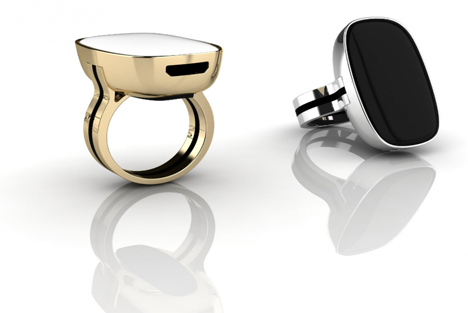 The ring charges by Micro USB and tethers to your phone via Bluetooth Low Energy. It isn’t available for purchase yet, but the Moodmetric website offers the option to sign up to get an email when the first round of pre-orders opens up. See more in Home & Personal or under Gadgets. January, 2015.